The question about using keyword research methods and YouTube tag generator is the most popular among the bloggers, game streamers, marketers. We feel and know, that correct keywords can bring a lot of organic traffic. Ideal video optimization is the key to get TOP for beginners, especially. But what about channel keywords? We remember about it rarely, than about video keywords. 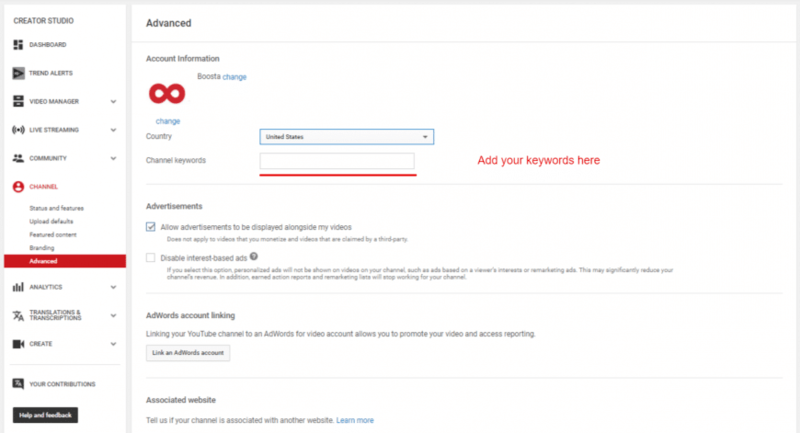 What are YouTube channel keywords? 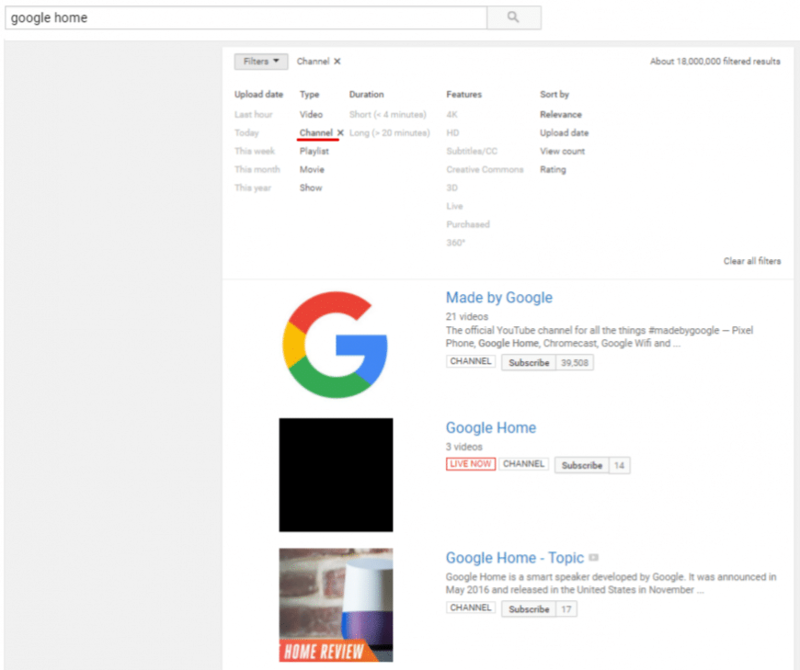 YouTube channel keywords are meta tags, that help users to find your channel in Google, YouTube and other search engines. Channel tags are similar to video tags, but they have a little different purposes. Channel can include a lot of videos, as one specialist can do a lot of tasks. So, definiton of channel is wider, than video definition. This logic helps us to understand the influence of each tag type and find rules of correct keywords choosing. What the influence of channel keywords on the YouTube SEO? SEO rules on YouTube search are similar to such rules in Google search. 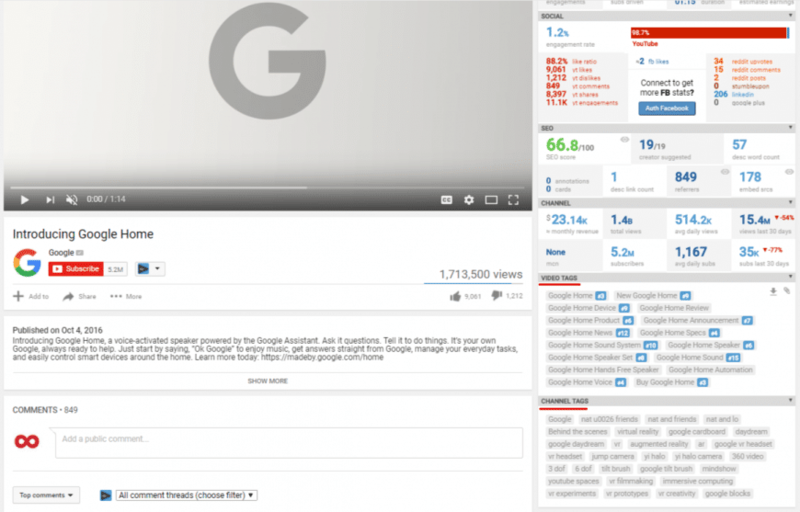 Every video is a page with title, description and other meta data. Correct title, description, tags and internal video settings optimizing is a key to be ranked by necessary queries. But what about channel tags? What its main influence? 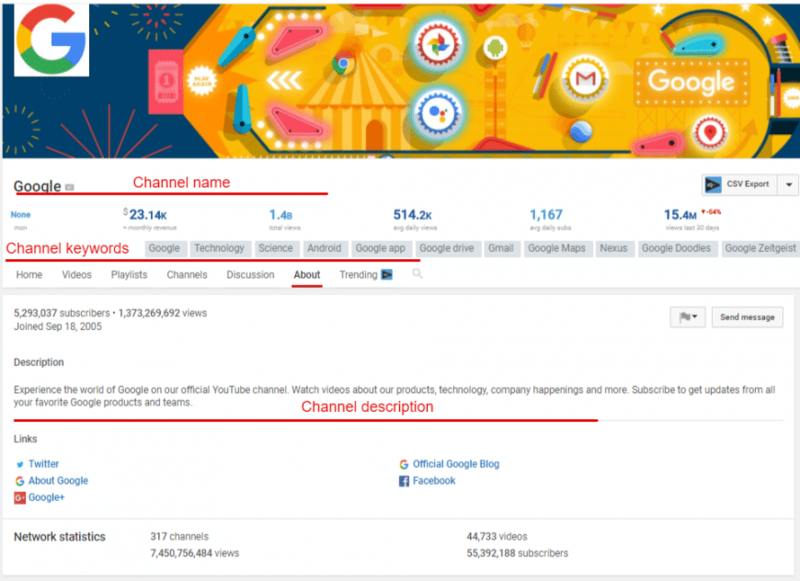 Youtube channel tags help users to find your channel by relative keywords. Especially it has influence when user searches something only by channels. We also should remember, that channel is always wider than exact video. That’s why we should use little others keywords than in videos. How to choose keywords for own channel? 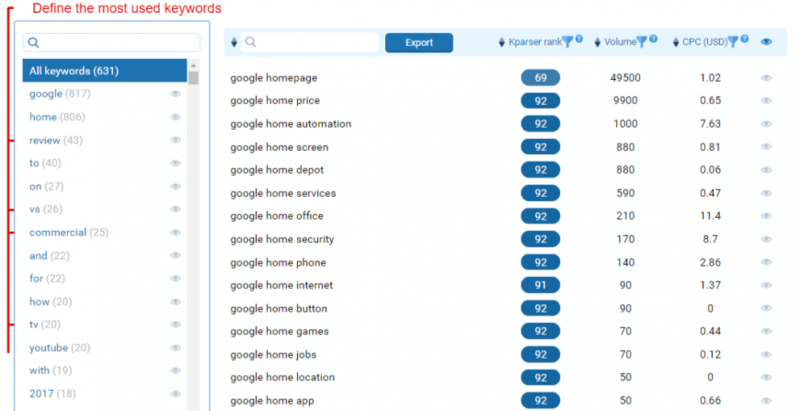 So, let imagine, that you have already known how to research keywords and optimize video by exact keywords from this our guide – kparser.com/youtube-keyword-tool For researching channel keywords we use similar methods. Only we keep in mind, that we need relative to our context keywords, which describe our channel the best. Check the screen above with “Introducing Google Home” video one more time. You’ll find, that Google team use long tail keywords for video, but very general keywords for channel (like Google, Technology, Science, Android, Google App, Drive, Gmail etc.). Is it correct way? We guess only in some cases. The scale of your channel really matters. But generally, the best way is to use keywords with 2-4 words. For example, if you want to promote channel only by Google Home product, you can test such tags as google home page, google home automation, google home setup, google home review etc. Of course, you will use such keywords in your videos too. But for one video you will use a lot of long tail suggestions for 1-2 channel keyword. How to add keywords to the channel? If you have no experience with Creator Studio interface, it can be difficult to find the place to add keywords. But in reality you need only a few exact steps. Go to Creator Studio in your YouTube account. Choose Channel section in the left tab. Enter your keywords in the line. What about channel name and description? They also take part in rankings as title and description tags. This is a point when we influnce the machine algorithms. Your channel name and description are part of your brand message. This is a point when we influence the people. Good name and youtube channel description can grow the number of your subscribers and brand awareness. The conclusion is easy. Learn to talk with people and search engines on their languages. It’s one of important keys to success. We guess, you’ve got answer on your questions. So, if you already know what to do, our Kparser is waiting to help implement your keyword strategy. If you have any addition questions write in our chat.